Alzheimer's disease, an eponym that first appeared in 1910 in a psychiatry text by Emil Kraepelin, the father of modern psychiatry and mentor to Alöis Alzheimer (1), is the most frequent cause of dementia. Alzheimer's disease evolves clinically with the progressive impairment of cognition, memory, and, gradually, basic functional abilities. The biochemical substrate of this neuro-degenerative disease is the formation of β-amyloid protein deposits (β-amyloid oligomers) (2) together with the presence of τ protein aggregates (tau protein) following the apoptosis of the neurons. In necropsies an important loss of neurons is observed in the cerebral cortex, notably in the temporal lobes. In its premature manifestation, Alzheimer's disease has an important genetic component (3) with the dominant expression of the autosomal Eε4 gene, which is found on chromosome 21. For this reason, people with Down syndrome (a 21 chromosome trisomy) show a high predisposition for developing Alzheimer's dementia early in their lives. The β-amyloid cascade (referred to as βA from now on) is initiated when there is an imbalance between the formation and clearance of theβA1®42 protein (from the first to the forty-second amino-acid). The monomers, dimers and trimers of the βA1®42 protein are soluble; however, oligomers of four or more βA1®42 monomers form insoluble deposits. Simultaneous to the formation of β-amyloid protein deposits, the hyper-phosphorylation of the intracellular τ protein is associated with the neuronal microtubules. The hyper-phosphorylation of the τ protein causes a disruption of the microtubules (cellular scaffolding); a molecular alteration that leads to apoptosis. The intracellular hyper-phosphorylated τ protein produces accumulations in the form of fascicles that take on the appearance of extra-cellular tangles after the death of a neuron. These τ protein tangles, along with amyloid protein aggregates, are the pathognomonic histological signs of Alzheimer's dementia. Current pharmacotherapy includes two types of drugs: “acetyl-cholinesterase enzyme inhibitors” (Donepezil, Rivastigmine and Galantamine), and the “non-competitive NMDA receptor agonist” (Memantine). With few differences in the results of their use, none of these drugs manage to delay the clinical progression of the disease even temporarily. None of them favourably modifies the course of Alzheimer’s disease. [NMDA is the acronym for N-Methyl-D-Aspartate]. The lines of research that have led to the development of these drugs are considered dead ends. Current research is being directed towards the search for therapeutic alternatives which anticipate the development of the disease itself, or which might, at least, slow down its biochemical and clinical progression (4). The pharmacological immunotherapy approach to Alzheimer's disease is focused in two ways: passive immunization (the administration of monoclonal antibodies against the βA protein (or reduced versions of βA1®42 monomers) and active immunotherapy (the stimulation of the humoral response against the βA protein). Both therapeutic approaches have been able to decrease the accumulation of the βA protein in transgenic mice, in which a neuro-degenerative setting mimicking human Alzheimer's disease has been produced .These results raise promising therapeutic expectations. However, the first attempts at passive immunotherapy based on monoclonal antibodies against fragments of the βA protein have suffered setbacks in the later stages of preclinical development: Bapineuzumab (5) and Solanezumab (6), monoclonal antibodies directed against the N-terminal domains and intermediate sequences of protein βA, have not yielded the expected results. Two clinical trials with Bapineuzumab, developed by Johnson & Johnson and Pfizer, were discontinued in July and August 2012 (7). The abandoning of the investigation into this monoclonal antibody meant losses of between $300 and $400 million for Johnson & Johnson in their income statement for 2012. The laboratory tried to explain this failure in two ways: either calling into question the theory of the cascade of β-amyloid protein aggregates as the triggering factor for Alzheimer's disease or criticizing the selection of study participants, most of whom were suffering the disease at a very advanced stage when they became involved in the clinical trial. According to the neurologist Allen Roses and his school, the formation of β-amyloid protein deposits are a consequence, and not a cause, of Alzheimer's disease. Eli Lilly reported in August 2012 that two clinical trials with their monoclonal antibody Solanezumab (6) did not attain a significant improvement in the cognitive endpoints when administered to patients with mild to moderate Alzheimer's disease. However, the results were somewhat more favourable when sub-groups of patients were selected. On December 12, 2012, Eli Lilly announced their project (currently in progress) to carry out an additional study on patients with moderate to severe Alzheimer's dementia. The results of a clinical trial with a new monoclonal antibody, Aducanumab (8), were presented in Nice, France, during the recent International Conference on Alzheimer's and Parkinson's Diseases and Neurological Disorders. The monoclonal antibodies diffuse into the nervous tissue where they aggregate with the βA protein. [The monoclonal antibody binds to βA complexes, and then is eliminated in the glia cells by invariable fragments of the light and heavy chains of the antibodies]. However, antibody titles in the brain barely reach 0.1% of their plasma concentrations due to the cerebral blood barrier (9). Perhaps the low concentration of antibodies at their target may explain their limited pharmacological activity. There are other monoclonal antibodies (passive immunotherapy) in different phases of research: Gantenerumab, Crenezumab, and others in pre-clinical denomination such as BAN2401, GSK933776, AAB-003, SAR228810 and BILD037 / BART. The concept of active immunotherapy against βA protein was formulated in 1999. Dale Schenk, who died on September 30, 2016, published a paper in the journal Nature (10) which was the starting point for research into the immunotherapy of Alzheimer's disease. The vaccination of transgenic mice with protein βA1®42 prevents the formation of insoluble deposits of amyloid protein oligomers, and reduces the progression of the neuro-degenerative process in rodents. AN1792, a synthetic version of protein βA1®42, was formulated together with an adjuvant (QS-21). [QS-21 is a mixture of tri-terpenic glycosides purified from the bark of Quillaja saponaria (QS, derived from the generic and the specific plant name). At present, there is a method for the chemical synthesis of tri-terpenic glycosides. QS-21 greatly potentiates the response of T and B cells when associated with a vaccine]. The use of QS-21 was the first attempt of active immunotherapy for Alzheimer's disease. During a phase-2 clinical trial, only 19.7% of patients with mild to moderate Alzheimer's dementia developed antibodies after immunization. However, 6% of the patients presented a severe meningoencephalitis. This serious side effect seems to be due to the synthesis of the protein βA1®42, which contains several epitopes in its amino-acid sequence. These epitopes insert themselves into the T-cell membrane stimulating an immune response mediated by a CD4+-helper T-cell. Patients (approximately 1 out 5) who developed active immunotherapy significantly improved their cognition and achieved better scores on "scales of assessment". In order to circumvent the T-cell immune response, with the consequent risk of meningeal encephalitis, smaller fragments of the βA protein have been used given that the B-cell epitopes (on which the intended immune response depends) are linked to the central domains of the amino-acid sequence of the βA1®42 protein, while the epitopes linked to the cellular response (T-cell mediated) are located at the N-terminal of the protein. This strategy has led to the development of a second generation of amyloid peptides for active immunotherapy. Short βA peptides are usually conjugated to a carrier such as a viral protein or KLH, together with an adjuvant molecule (hapten) to stimulate an immune response. [KLH: cupric protein of the respiratory chain of the marine gastropod Megathura crenulata, is used as a carrier of haptens in the formulation of vaccines, in addition to uses in various other diagnostic techniques]. The other protein that forms deposits (neurofibrillary tangles) in Alzheimer's disease, the τ protein, has hardly been investigated for pharmacological purposes. A bibliographical review of potential immunotherapy treatments, either active or passive, and still yet to be evaluated in phase 3 clinical trials, is carried out. The pharmacological targets against which these treatments have been designed are β-amyloid protein and protein τ. Passive immunotherapy requires frequent administrations to maintain a large enough number of antibody titles. In contrast, active immunotherapy stimulates the patient's natural immunity, achieving a large number of antibody titles over prolonged periods. There are several reasons that make active immunotherapy more favourable. On one hand, a relatively stable antibody concentration facilitates their diffusion into neurons, increasing tolerance and reducing the unwanted T-cell response. On the other hand, active immunotherapy leads to the development of a polyclonal response to multiple epitopes. At the same time, a gradual increase in antibody titles leads to greater efficacy and better tolerance, in contrast to intravenous infusion of antibodies (passive immunotherapy). The frequent injections required during passive immunotherapy significantly increase the risk of tolerance and the possibility of auto-immunity reactions. The results of the clinical studies in progress are commented on below. As a summary, the following table (Table 1) is categorized under two headings: "Immunotherapy Against β-amyloid Protein" and "Immunotherapy Against The τ protein". Under the heading "Immunotherapy Against β-amyloid Protein" four monoclonal antibodies (Bapineuzumab, Solanezumab (interrupted clinical studies), Ganterenumab, Crenezumab and Aducanumab (phase 3 clinical studies) are included. CAD106 consists of multiple copies of βA1®6, associated with macromolecules (180 copies of bacteriophage Qβ capsid protein (an icosahedron virus that infects Escherichia coli).) The design seeks to achieve a B-cell response without the development of a self-reactive T-cell response. CAD106 was developed by Cytos Biotechnology. On March 25, 2015, the Swiss multinational Novartis acquired the rights to CAD106, paying 4 million Swiss francs to Cytos Biotechnology, in addition to shares transaction in convertible bonds. When APP23 was used on 24 transgenic-mice, CAD106 markedly decreased the occurrence of amyloid protein deposits, being more effective in preventing plaque formation than in disrupting the already formed deposits. Increased plasma levels of βA do not result in micro-haemorrhages. In the phase I clinical study 11, NCT00411580, two study groups were evaluated and given three subcutaneous injections of one of the following two doses: 50mcg (24 patients) or 150mcg (22 patients). Patient titration was performed over 52 weeks. All patients in the study tolerated the treatment very well, showing an adequate level of antibodies (82% vs 67% in the cohorts treated with 150mcg and 50mcg respectively), without auto-reactive T-cell response (undesired effect of immunotherapy). No differences were observed between the placebo group and the groups treated with CAD106, as regards the levels of various markers in the cerebrospinal fluid: τ protein, τ-hyper-phosphorylated protein, βA1®40, βA1®42. In two studies 12 phase 2a tests (52-weeks) were carried out on patients with a score of M.M.S.E. in the range 20 to 26. 150mcg were administered subcutaneously at weeks 0, 6 and 12 (study NCT00733863); or IV or SC, weeks 0, 2 and 6 (study NCT00795418). In both clinical trials, about 90% of the participants developed antibodies, with a quasi-linear relationship between IgG-anti-βA titles and plasmaβA protein concentrations. Also in these phase 2a studies, differences in the above mentioned markers were observed between the placebo group and the study arms. [The acronym M.M.S.E is the Mini Mental Scale Evaluation]. Previous studies were expanded (NCT00956410 and NCT01023685) in such a way that patients received another four injections (subcutaneous or intramuscular) of CAD106 at 12-week intervals (56th, 68th, 80th and 92nd weeks). Two interesting facts were reported: an increase in plasma βA concentrations, probably due to the higher plasma average life (T1/2) of the free (and soluble) βA protein relative to that bound to antibodies; along with non-decreasing antibody titles (anti-Aβ IgG) in a temporal sequence, confirming that the treatment does not lose efficacy over time. Another conclusion from these studies: the intramuscular administration of CAD106 generates a more consolidated response than that achieved when the subcutaneous route is administered. A recent phase 2 study (designed as NCT010097096) with 121 patients with M.M.S.E. within a range of 20 to 26, using intramuscular injections of 150mcg or 450mcg of CAD106 with an adjuvant relative to placebo is in its concluding phase. No T-cell responses (undesired effect) have been reported in the studies conducted so far. Pharyngitis and local erythema subsequent to injection were the most common adverse events in phase 1 studies. Nine patients experienced serious adverse events, although no causal relationship was established with the drug studied. Neither were cases of aseptic meningoencephalitis or oedema of vascular origin reported. Similarly, the biochemical and haematological parameters did not vary between the study and placebo groups. Tolerance to CAD106 was somewhat better when the intramuscular route was used, this being the type of injection selected for further studies. A case of intra-cerebral haemorrhage was reported, although it was not related to βA titles but to cerebral amyloid angiopathy. ACC-001 (Vanutide cridificar) is a conjugate formed by multiple copies of βA1®7 with an atoxic variant of the diphtheria protein CRM197. It has been formulated for intramuscular administration. Experimental studies in animals (primates) have shown the appearance of antibodies against the N-terminal fragment of the βA protein, without an undesired T-cell response. A number of studies (NCT0128438713, NCT0122756414, NCT0095540915, NCT0096053116, and NCT0123899117) have evaluated the immunogenicity, tolerance, and side effects of Vanutide cridificar. From the experience gained so far, two conclusions can be drawn: (1º) no differences were observed between the three doses evaluated (3mcg, 10mcg and 30mcg); and (2º) the adjuvant (50mcg of QS-21) is critical for achieving adequate and sustained antibody titles. AD01 and AD02 (Affitope) are vaccines associated with KLH. The antigenic epitope are small peptides of only six amino-acids that mimic the N-terminal of the βA protein. Its small size drives the activation of the T-cell response. [KLH is the acronym for Keyhole Limpet Haemocyanin. It is a metal-protein composed of multiple subunits, isolated from the lymph of the gastropod Megathura crenulata; its non-zoological name is "keyhole limpet”]. After completing phase 1 clinical trials, only AD02 was selected for phase 2 clinical studies, in order to determine its dosage and the verification of its clinical and immunological tolerance. AD03 has been developed within the MimoVax project18, 19, with a phase 1 clinical study (NCT01568086) coordinated by the company Affiris in Vienna, Austria. ACI-24 is a βA1®15 peptide bound to four palmitic acids forming a liposome. Preliminary studies in experimental animals have shown a helper T-cell mediated response type 2 (predominance of IgG1, IgG2b and IgG3 antibodies). A reduction of the insoluble aggregates of βA1®40 and βA1®42 proteins was reported. No pro-inflammatory cytokines (TNFα, IL1β, IL6 and interferon-γ) are detected, and neither was the activation of the microglia nor astro-gliosis. [The TNF is the acronym for Tumour Necrosis Factor]. A study is being conducted on people with the Down syndrome20. V950 is a multivalent vaccine against the βA protein. This vaccine recognizes modified pyroglutamate and other truncated fragments of the βA protein. A phase 1 clinical study 22 was carried out to evaluate the immune response, as well as its safety and tolerance, administering three doses intramuscularly, the first two at a two-month interval, and the last after a semester. Phase 2 clinical trials have been scheduled. UB-311 is an equimolar mixture of two synthetic peptides, epitopes developed by the patented UBITh® technology 23, coupled to the βA1®14 peptide. The vaccine was designed to stimulate a response shown by the presence of T helper-type 2-cells, as opposed to one where T helper-type-1-cells are produced (pro-inflammatory response). This vaccine was designed by United Biomedical Inc.
A clinical study has been conducted on patients with mild to moderate Alzheimer's dementia in Taiwan. Participants were treated with intramuscular UB-311 weeks 0, 4, and 12. The results have not been published, although tolerance and safety were deemed sufficient, so InvaGen has decided to initiate a Phase 2 clinical trial. Lu AF20513 is a polyclonal vaccine against various antigenic determinants of the βA protein. It is the result of a collaboration agreement between the Danish company Lundbeck and the Japanese company Otsaka. Lu AF20513 24 is a βA1®12 peptide in which two antigenic determinants of the βA1®42 protein were replaced by two epitopes of the tetanus toxin. These foreign antigenic determinants stimulate the immune memory helper T-cells which thereby induce the synthesis of antibodies against the βA protein by B-cells. [Many people have memory T-cells derived from the injection of anti-tetanus toxin]. In experiments on transgenic mice engineered to develop amyloid deposits, an injection of this vaccine (Lu AF20513) triggers a non-auto-reactive T-cell response, with no microglia activation, astrocytosis, or amyloid-like angiopathy. In addition, Lu AF20513 suppressed amyloid plaque formation as well as the accumulation of soluble forms (monomers, dimers or trimers) of βA protein. These findings justify Lu AF20513 for studies in second-level clinical trials. Both Lundbeck and Otsaka have initiated phase III clinical trials with two potential drugs aimed at controlling various symptoms associated with the progression of Alzheimer's disease: Lu AE58054 25, an antagonist of 5HT6-receptor, and the other, Brexpiprazole, with a non-specific affinity for various receptors such as serotoninergic, dopaminergic and noradrenergic. These trails are at the very early stages of development. Immunological therapy against the τ protein is still at the very early stages of preclinical development 26, 27. The intra-neuronal location of the τ protein adds an additional barrier for the access of the antibodies. However, the inflammatory process associated with neuronal damage facilitates the access of antibodies to intra-cellular media. This vaccine has been developed by Axon Neuroscience, a biotechnology company in Bratislava (Slovakia). It is formulated by conjugating the τ protein with KLH [Keyhole Limpet Hemocyanin] together with aluminium hydroxide. It is the first vaccine directed against an erroneous folding of protein τ. Early results in rodents have shown efficacy, both symptomatically and histologically (an improvement of neurological and behavioural signs and a reduction of neurofibrillary tangles, respectively). AADvac1 has completed a Phase 1 28 clinical trial, which is controlled against a placebo and random patients. The study attempts to carry out a preliminary estimate of tolerance, safety and efficacy in patients with early-stage Alzheimer's disease. Vaccine developed by the Swiss company AC Immune. It is a synthetic peptide of 16 amino-acids corresponding to the sequence of amino acid 393 to 408 of protein τ, with two amino-acids phosphorylated (396 and 404 in the natural protein, corresponding to the 4º and 12º of the synthetic peptide). This peptide is found within a liposome. In experiments with transgenic mice, a significant polyclonal response was achieved. Preliminary results have shown improved symptomatology, along with a reduction in a clinical sign increasingly taken into account in Alzheimer's disease, which is the inflammation associated with the progression of the neuro-degenerative process, which may contribute to a pernicious loop in the involution of mental functions. Findings during the 1990s that related cholinergic neuronal pathway deficits and the progression of Alzheimer's dementia stimulated the synthesis of "acetylcholinesterase enzyme inhibitors" (Donepezil, Rivastigmine) and the “re-discovery” of the already known Galantamine. It was assumed that an increased cholinergic activity could slow down, or even reverse, the symptomatology of Alzheimer's disease. Another line of investigation led to the study of an NMDA-receptor antagonist Memantine, which had been used since 1978 in the former Federal Republic of Germany for the treatment of dementia of vascular origin. Both lines of work have been abandoned as initial expectations were not met. Research is currently directed towards immunotherapy (passive and active) against various epitopes of proteins that constitute the fundamental matrix of protein aggregates (plaques formed by β-amyloid protein and neurofibrillary tangles constituted by phosphorylated τ protein). 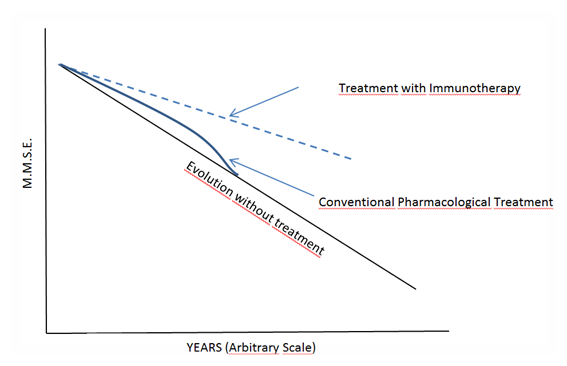 The accompanying graph shows the time course of Alzheimer's disease under three different circumstances: untreated, treated with conventional pharmacotherapy ('acetylcholinesterase enzyme inhibitors' and 'NMDA receptor antagonists'), and prospective Immunotherapy (dotted line). The criterion for the evaluation of the symptomatology (axis of ordinates) is the score according to a classic scale of evaluation (MMSE). Failures with some monoclonal antibodies (passive immunotherapy) have been explained by the admission that they were administered to patients at too great an advanced stage of the disease. It is considered that its efficacy will be shown to be far superior if the treatment is established in the early stages of the disease. But this will require an anticipatory assessment of all vulnerable people, be that due to their age, genetics or other risk factors. It seems that the current trend is the development of an active immunotherapy directed against both epitopes of the β-amyloid protein and the τ protein, supplemented in certain cases with passive immunotherapy. Immunotherapy research is aimed at the long-awaited Alzheimer's disease vaccine. Its attainment would have important medical, social and economic implications; difficult to imagine from our current perspective 29. For the moment, we must assume that a significant number of our fellow citizens, perhaps ourselves, will irreversibly lose our own more intimate history. When Alöis Alzheimer carried out the first anamnesis of the famous patient August D., in November 1906, this patient at the psychiatric hospital in Frankfurt gave him what is still the best definition of the illness: "... I have truly lost my Self." 30. 1.- López-Tricas, JM. Alöis Alzheimer, notas históricas. 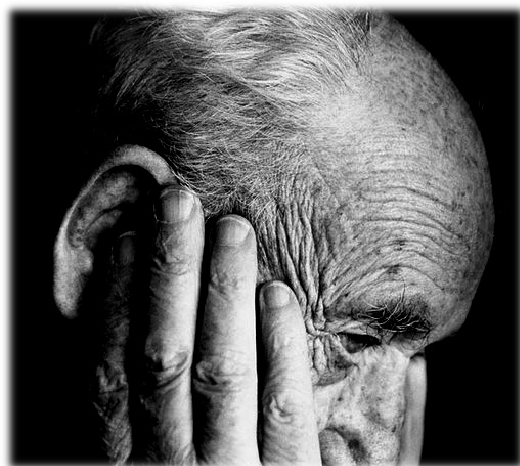 In http://www.info-farmacia.com/historia/aloeis-alzheimer-notas-historicas. In: www.info-farmacia.com. Consult: October 2016 (Spanish). 2.- Hardy J., et al. Amyloid deposition as the central event in the aetiology of Alzheimer Disease. Trends Pharmacol Sci 1991; 12: 383-88. 3.- Bertram L, et al. The genetic of Alzheimer’s disease. Prog Mol Biol Transl Sci 2012; 107: 79-100. 4.- Galimberti D.S.E. Disease Modifying Treatments for Alzheimer Disease. 2011; 4: 203-2016. 6.- Doody RS., et al. Phase 3 trials of solanezumab for mild-moderate Alzheimer’s disease. N Engl J Med 2014; 370:311-21. 7.- Lopez-Tricas, JM. Interrumpidos los ensayos clínicos con Bapineuzumab. In: http://www.info-farmacia.com/actualidad/desarrollo-y-conciencia-social/interrumpidos-los-ensayos-cliinicos-con-be. In: www.info-farmacia.com. Consult: October 2016 (Spanish). 8.- López-Tricas, JM. Adacanumab, anticuerpo monoclonal para la enfermedad de alzhéimer. In: https://sites.google.com/a/info-farmacia.com/info-farmacia/medico-farmaceuticos/informes-tecnicos/aducanumab-primer-anticuerpo-monoclonal-para-la-enfermedad-de-alzheimer. In: www.info-farmacia.com. Consult: October 2016. 9.- Greenlee JE., et al. Uptake of systemically administered human anticerebellar antibody by rat Purkinje cells following blood-brain barrier disruption. Acta Neuropathol 1995; 89: 341-45. 10.- Schenk D., et al. Immunization with amyloid-β attenuates Alzheimer-disease-like pathology in the PDAPP mouse. Nature 1999; 400: 173-177. 11.- Winblad B., et al. Safety, tolerability, and antibody response of active A-betha immunotherapy with CAD106 in patients with Alzheimer’s disease: randomized, double-blind, placebo controlled, first-in-human study. Lancet Neurol 2012; 11: 597-604. 12.- Farlow MR., et al. Long-term treatment with active Aβ immunotherapy with CAD106 in mild Alzheimer’s disease. Alzheimers Res Ther 2015; 7(1): 23. 13.- Anonymous. Amyloid Imaging and Safety Study of ACC001 in Subjects with Mild to Moderate Alzheimer’s disease (ACCTION). In: https://clinicaltrials.gov/ct2/show/NCT01284387. In: www.ClinicalTrials.gov. Consult: October 2016. 14.- Anonymous. Amyloid Imaging and Safety Study of ACC-001 in Subjects with Early Alzheimer’s disease. In:https://clinicaltrials.gov/ct2/results?term=NCT01227564&Search=Search. In: www.ClinicalTrials.gov. Consult: October 2016. 15.- Anonymous. Long Term Extension Study Evaluating Safety, Tolerability, and Immunogenicity of ACC-001 in Subjects with mild to moderate Alzheimer’s disease. In: https://clinicaltrials.gov/ct2/results?term=NCT00955409&Search=Search. In:www.ClinicalTrials.gov. Consult: October 2016. 16.- Anonymous. A Long Term Extension Study Evaluating ACC-001 with QS-21 in Subjects with mild to moderate Alzheimer’s disease. In: https://clinicaltrials.gov/ct2/results?term=NCT00960531&Search=Search. In: www.ClinicalTrials.gov. Consult: October 2016. 17.- Anonymous. Long Term Extension Study Evaluating Safety, Tolerability and Immunogenicity of ACC-001 in Japanese Subjects with mild to moderate Alzheimer’s disease. In: https://clinicaltrials.gov/ct2/results?term=NCT01238991&Search=Search. In: www.ClinicalTrials.gov. Consult: November 2016. 18.- Mandler M., et al. The MimoVax vaccine: a novel Alzheimer treatment strategy targeting truncated A-betha40/42 by active immunization. Alzheimer Dement 2009; 5: 114. 19.- Mandler M., et al. Development of AFFITOPE Alzheimer vaccines results of phase I studies with AD01 and AD02. Alzheimer Dement 2011; 7: S793. 20.- Anonymous. Safety, Tolerability, and Immunogenicity of ACI24 in Adults with Down syndrome. In:https://clinicaltrials.gov/ct2/results?term=ACI24&Search=Search. In: www.ClinicalTrials.gov. Consult: November 2016. 21.- Winbland B., et al. Aβ Specific Antibodies induced by active immunotherapy CAD106 engage A-betha in plasma in Alzheimer patients (poster). International Conference on Alzheimer Disease (ICAD). Paris, France 2011. 22.- Anonymous. A Study of V950 in People with Alzheimer Disease (VP950-001 AM7). In:https://www.clinicaltrials.gov/ct2/results?term=V950&Search=Search. In: www.ClinicalTrial.gov. Consult: November 2016. 23.- Wang CY., et al. Site-specific UBITh amyloid-β vaccine for immunotherapy of Alzheimer’s disease. Vaccine 2007; 25: 3041-3052. 24.- Davtyan H., et al. Immunogenicity, efficacy, safety, and mechanism of action of epitope vaccine (LuAF20513) for Alzheimer’s disease: prelude to a clinical trial. J Neurosci 2013; 33: 923-34. 25.- Anonymous. Study Investigating, the Safety, Tolerability, and Pharmacokinetic Properties of Lu AE50854 in Healthy Japanese and Caucasian Sujects. In: https://www.clinicaltrials.gov/ct2/show/NCT01975779?term=Lu+AE58054&rank=2. 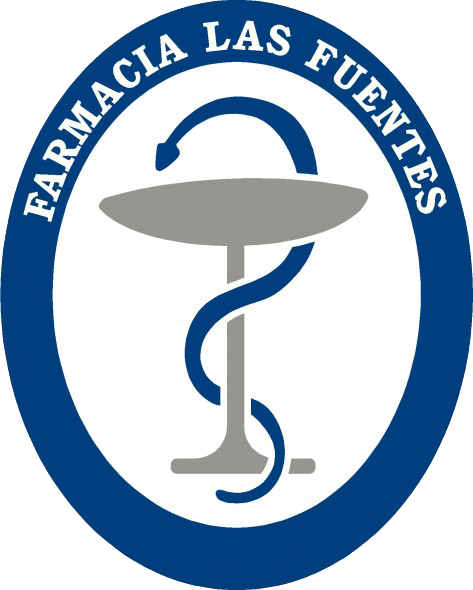 In:www.info-farmacia.com. Consult: November 2016. 26.- Novak M. Tau immunotherapy – the way how to crack the immune code of misfolded protein tau (Abstract S4-02-02). International Conference on Alzheimer’s disease. (ICAD). Boston, Massachusetts, USA 2013. 27.- Sigurdsson E. Immunotherapy targeting pathological tau protein in Alzheimer’s disease and relate taupathies. J Alzheimers Dis 2008; 15: 157-158. 28.- Anonymous. Safety Study of AADvac1, a Tau Peptide-KLH-Conjugate Active Vaccine to Treat Alzheimer’s disease. In:https://www.clinicaltrials.gov/ct2/show/NCT01850238?term=AADVAC1&rank=1. In: www.ClinicalTrials.gov. Consult: November 2016. 29.- Wimo A., et al. The worldwide economic impact of dementia. Alzheimers Dement 2010; 9: 1-11. 30.- López-Tricas JM., Álvarez de Toledo Bayarte A. Alzheimer and “baby-boom” Generation. EJCP 2017 (Editorial 1ernúmero de la revista 2017).